The eMatrix system uses flexible, optic light guides to illuminate areas on a floor plan, laid over a high resolution grid. This unique system dispenses completely with wiring and enables indicators to be moved, removed or added on site without the need for any wiring. All indicators can be configured to operate upon any event type and at point, zone or group level via the powerful and intuitive Loop Explorer configuration or ESP Discovery. eMatrix can be supplied with or without LEDs and controls. Optional LEDs indicate Power on, Fire, Trouble and Disablement and optional controls are for Alarm silence, Buzzer silence, Lamp test and Reset. 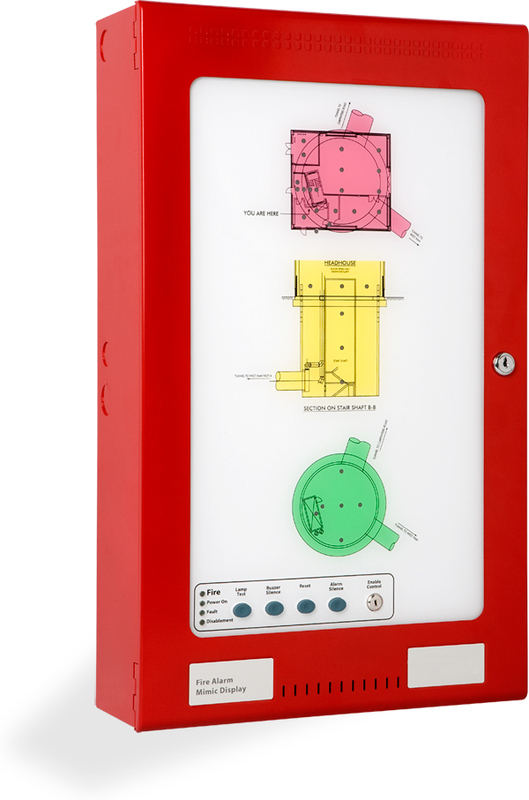 Housed in attractive, slimline enclosures to match Elite fire alarm panels and with high quality, full colour or floor plans, eMatrix provides a clear, geographical indication of fire alarm activation enabling speedy identification of the source of an alarm.